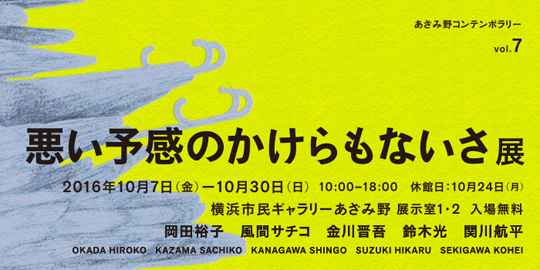 OKADA Hiroko is participating in the exhibition “Azamino Contemporary vol.7:「悪い予感のかけらもないさ展」” held at at Yokohama Civic Art Gallery from Friday 7th October. Tour the exhibition with participating artist OKADA Hiroko, including a workshop in combination with her artwork “Karada Ayatori”. Please note that the tour and workshop will be conducted in Japanese.